In the latest book from father and son team, Jonathan and Jess Kellerman, Clay Edison, Deputy Sheriff with the Coroner's Office, and former basketball star, makes his debut. His job is to examine bodies and decide whether it is a case of death by natural causes or foul play. Looking for motives and checking out suspects is not what he is trained for. Yet a particular case catches his attention and brings a change to his normal routine. Clay meets Tatiana Rennert whose father has been found dead at the bottom of the stairs of his house. While nothing seems out of the ordinary, other than a tragic accident, Tatiana insists that her father has been murdered. Eventually she persuades Clay to take a closer look at the situation. Edison soon finds out that a colleague of Rennert died in practically the same way and so he begins to investigate, determined to find out the truth. His investigation leads to some unexpected places. The authors have produced a police procedural that is highly entertaining. While the basketball injury sustained by Edison may put you in mind of another famous detective, Clay is nothing like the esteemed Mr Bolitar. He works purely on his own and outside his jurisdiction which leads him into some rather unfortunate situations with his own department and various cops. Nor is he like Kellerman’s Alex Delaware, who, incidentally, makes a cameo in the book. Clay’s first utterance in the novel is “Don’t make assumptions”. While he says this in reference to his work on cadavers, it is advice he may well have to heed during the investigation. It is a slow-moving story but I found it evenly-paced for the most part; it doesn’t drag. Clay is a highly engaging character. We learn about his eventful basketball past and his relationships with his colleagues, his brother and we see his relationship with Tatiana unfold. 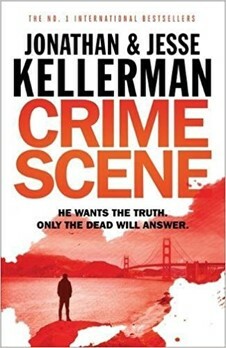 Well-over 350 pages but a good read for all Kellerman fans and newcomers alike.